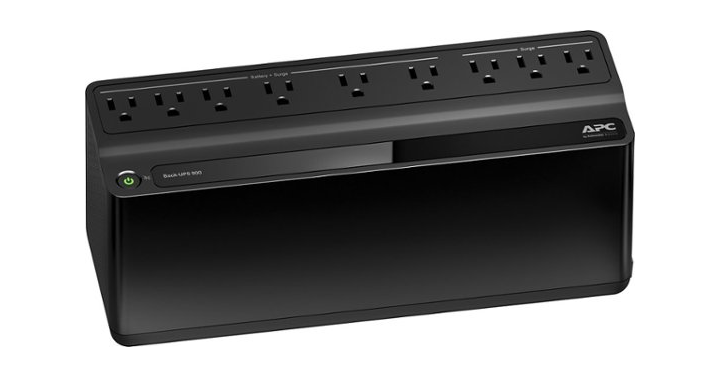 APC Back-UPS 900VA Battery Back-Up System – Just $69.99! Avoid data loss during unexpected power outages with this APC battery backup. Plug in up to seven devices and let the two surge protectors keep your critical electronics protected. This APC battery backup delivers a battery run time of up to 5.9 hours, which provides plenty of time to save and back up your work. Check out this awesome deal! Grab it today before it is gone! Head on over to Best Buy and get the APC Back-UPS 900VA Battery Back-Up System for just $69.99!